Best known as an aviation artist and currently exhibits with the Guild of Aviation Artists. He illustated the cover art in the 1970's of many Matchbox model kits which included aircraft, tanks and motor cars. 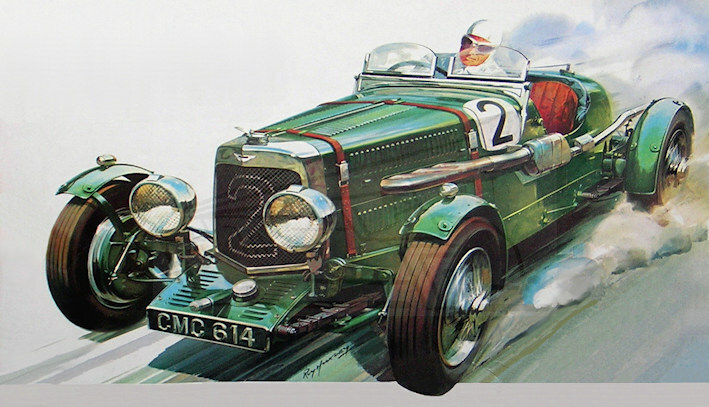 Aston Martin sports design for Matchbox models. Illustration courtesy of Stuart Middlemiss. 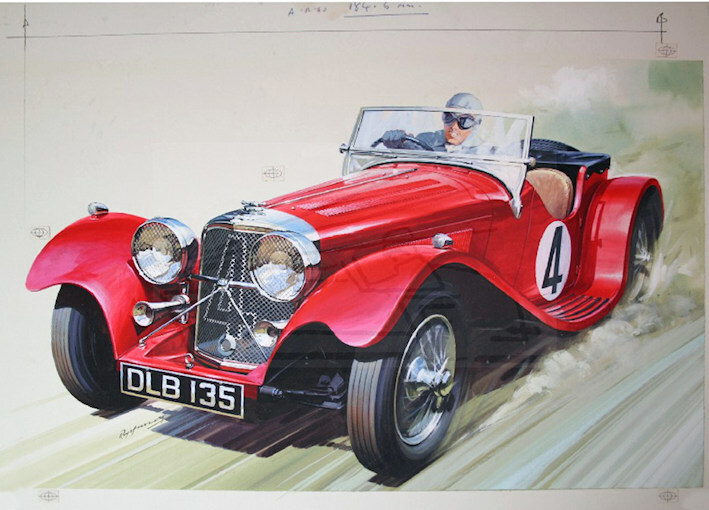 SS Jaguar 100 sports art for Matchbox models. Illustration courtesy of Stuart Middlemiss.